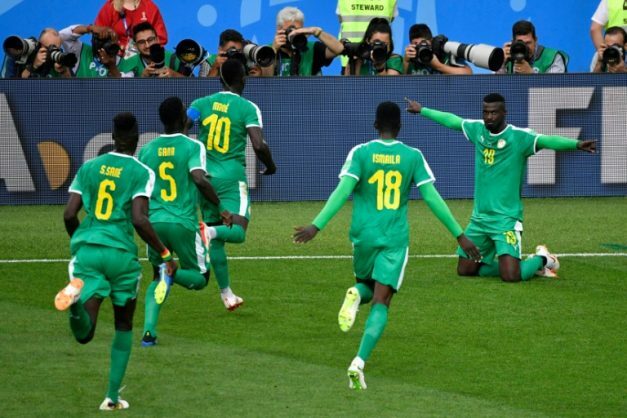 Senegal players go to celebrate with Mbaye Niang after he got what proved to be their winner against Poland. Senegal only need a point to qualify for the last 16 in their final Group H game against Colombia. With both countries hoping to progress, Thursday’s clash at the Samara Arena is likely to be a nervy affair. Colombia may decide they have to go for it more as they will qualify with a victory over Senegal, but they can also go through with a draw if Japan lose in the other game against Poland because they have a better goal difference. It’s potentially a complicated finale to Group H as Colombia, who surprisingly lost 2-1 in their opener against Japan, then went on to impress when dismantling Poland 3-0 at the weekend. Senegal boss Aliou Cisse is unlikely to make many changes, with Liverpool forward Sadio Mane again expected to lead the line although Cisse must decide whether to go with the 4-4-2 formation he used in the win over Poland or the 4-3-3 he selected against Japan. Carlos Sanchez is set to return for Colombia after serving a one-game suspension, goalkeeper David Ospina has been passed fit following a knock against the Poles but midfielder Abel Aguilar is out injured. The two countries have only met once before, a 2-2 friendly clash in Buenos Aires before the last World Cup in May 2014.